Dr. Charles Cockell is a Professor of Astrobiology in the School of Physics and Astronomy at the University of Edinburgh and Director of the UK Centre for Astrobiology. In addition, he is the Founder and Chair of the Earth and Space Foundation and also the Co-Founder, current Board Member, and Past President of the Association of Mars Explorers. Charles has also been elected as an International Fellow of the Explorers Club. He did his undergraduate training in Biochemistry and Molecular Biology at Bristol University and received his PhD in Molecular Biophysics from the University of Oxford. 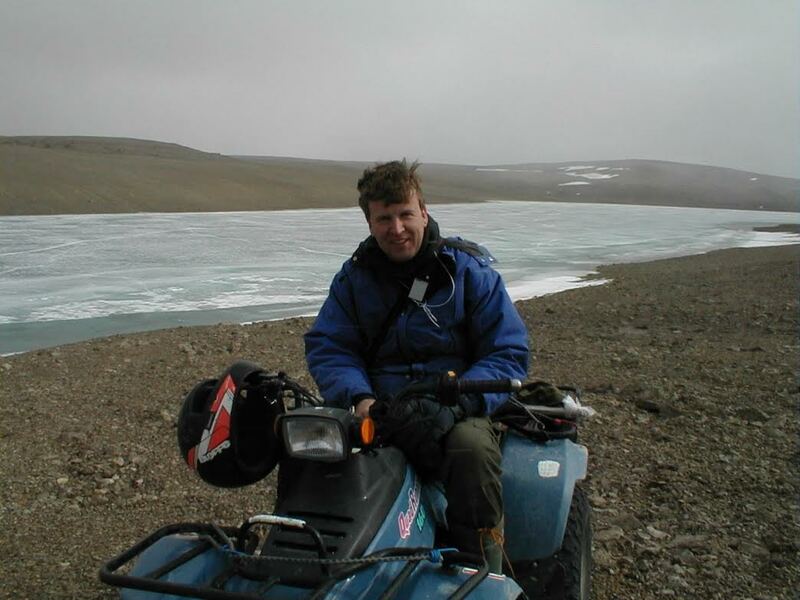 Prior to joining the faculty at the University of Edinburgh, Charles was a National Academy of Sciences Associate with NASA, a visiting Scholar at both Stanford University and the University of Arizona, a Research Scientist with the British Antarctic Survey, and also Professor of Geomicrobiology at Open University. Charles is here with us today to tell us all about his journey through life and science. One of Charles’s favorite things to do when he’s not at work is go walking out in the hills and wilderness. It’s a great way to clear his mind and enjoy the outdoors. He is trying to understand how life has emerged and has persisted on our planet. What are we doing on this planet? Charles is motivated by understanding how civilization came to be and how our civilization will continue, including whether we will become a space-faring civilization. In his early years, Charles was known collecting insects in the garden and was generally interested in exploring the natural world. The spirit of exploration was really ingrained in him during his time at boarding school. The library at school had a big portrait of Captain Robert Falcon Scott and Ernest Shackleton who were both inspiring explorers. Charles remembers getting lost in books on early exploration and the Apollo space program and drumming up all sorts of exciting scientific ideas. Early in his career, Charles struggled to find positions that would pay him to do the research he was passionate about. After finishing his PhD, Charles got a postdoctoral fellowship with NASA Ames Research Center, which was a dream come true. Once that position was over, he couldn’t find a permanent job in the field, so he had to take on temporary positions for a while before things really fell into place. Building new projects and getting people interested in them is something Charles really enjoys about science. In particular, he really enjoys teaching and seeing students become inspired by science. It has been rewarding to have undergraduate students take his astrobiology courses and then tell him they have decided that this is something they want to do for their career. Charles has fond memories of a trip to Indonesia where he was flying a specially designed ultralight aircraft over the rainforests of Sumatra to catch moths. This was his own invention, conceived after conventional moth catching methods failed on previous excursions. The views were absolutely breathtaking, and he really enjoyed being able to see the pristine rain forests from the ground as well as the air. Charles ended his ultralight pilot days after a crash landing that he was lucky to walk away from. What started as a candid conversation in a pub among friends about how they wished Britain was more involved with Mars exploration led to Charles becoming a parliamentary candidate for the Forward to Mars Party in 1992. He was running against the current Prime Minister, among other candidates. Charles has fantastic memories of Town Hall meetings where they all answered questions from the public, and he was able to have fun adding his own Mars exploration spin to his responses. Pursue your ambitions and your dreams with tenacity and perseverance, regardless of what people think. Charles’s academic interests encompass life in extreme environments, the interactions of microbes with minerals and the implications for earth system processes and the habitability of extraterrestrial environments. He sits on ESA’s Planetary Protection Working Group. He is a Senior Editor of the journal, Astrobiology. Popular science books include Impossible Extinction (CUP), which explores the tenacity of microbes on the Earth, and Space on Earth (Macmillan) which looks at the links between environmentalism and space exploration. He is Chair of the Earth and Space Foundation, a non-profit organization he established in 1994 and was first Chair of the Astrobiology Society of Britain.